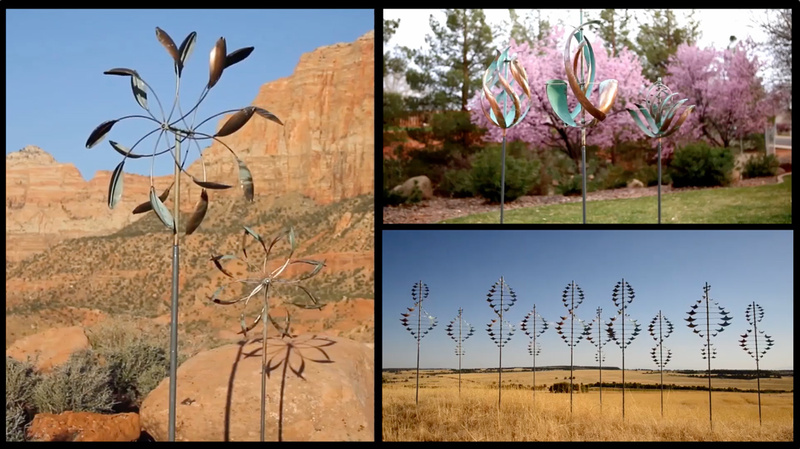 Lyman Whitaker has been crafting his copper Wind Sculptures since 1986. To view videos, click on any photo. You can buy online, or contact us if you’ve questions: 816.333.3111 / info@leopoldgallery.com. We help all our clients make sound decisions, so they’re ecstatic with the result. Lyman’s wind spinners last for decades, and endure winds of up to 95 MPH. When you buy from us, you’ll receive a receipt, shipping info, and we’ll guide you from acquisition to installation. Please don’t settle for poorly engineered, poorly made imitations. Buy an original Lyman Whitaker Wind Sculpture. You’ll treasure it for the rest of your life! Catalina Island, CA & Washington, D.C.